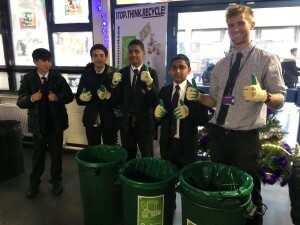 Green Schools Project is a small organisation run by Henry Greenwood which gives schools the resources and tools to set up eco-committees and become more sustainable. 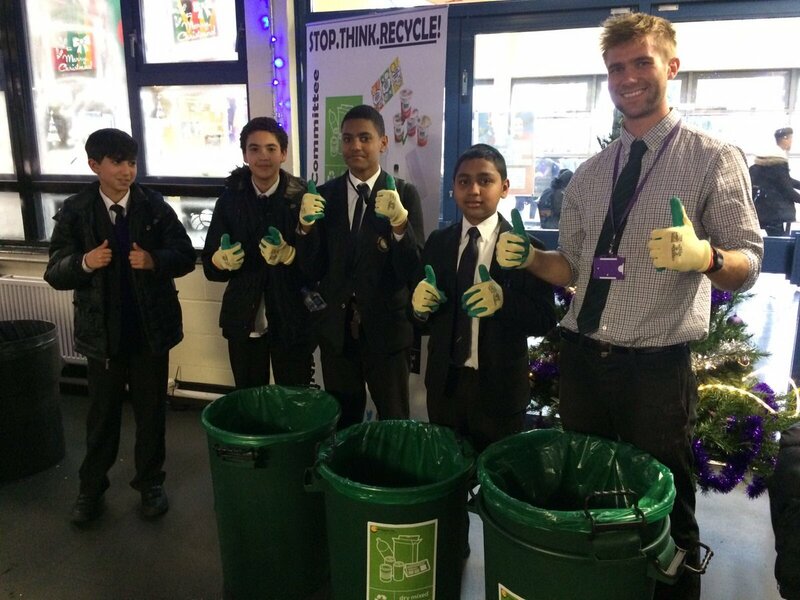 A teacher for 12 years, Henry noticed the school where he was teaching in Enfield lacked any environmental sustainability policies. Henry had always been interested in the environment, and had been looking at other roles outside of teaching, but nothing had caught his eye. At his school, lights were left on all the time, recycling bins were unused, the heating in the winter was turned up to full blast and, if it got too hot, windows would be opened. Given the urgency of situation, he decided to speak to the head teacher about creating a new role for himself, and the title of Sustainability Coordinator was born. Henry gathered some students together to form a committee, formed a plan of action, and began to make his ideas a reality, with a view to saving the school money, as well as creating opportunities for students to work together and helping the school become more sustainable. Out of this first brainwave, the Green Schools Project was born. Henry’s role as Sustainability Coordinator made him realise that he could help other schools achieve the same. It’s now been two and a half years since the GSP launched, and what started with 3 schools has become 26, ranging from primary to secondary, across the capital. They are currently in talks with UCL about university students getting involved to help in schools and coordinate the committees – this would take pressure off the teachers, who, even if they want to help, lack the time. It also gives university students valuable experience in schools, as well as encouraging their passion for the environment. The project is a collaboration between GSP, the schools and the soon-to-be university students – a great network of different groups fighting for the same goal: more sustainable schools. As a relatively new organisation with only Henry as the director and his board of advisors, everyday democracy within the organisation was not as prominent as within a more established organisation with more employees. However, everyday democracy was one of the founding principles of the initiative – both in their own structure, in terms of educating and empowering, and with regards to their own working culture. Currently GSP are planning their expansion and are looking to take on an employee for a couple of days a week. The advisory board has suggested that freelance work might at first be more suitable, whilst they assess what the organisation needs from a new employee – but this new employee will also be involved in the organisation’s direction from the outset. As a resource which schools can use to improve their environmental impact, GSP relies on the initial demand from schools, enthusiasm from students to form committees, and teachers or soon-to-be potential university students to help oversee the process. One difficulty with schools is their managerial hierarchy, which could mean a teacher cannot themselves get GSP involved without authorisation. Even if a teacher wants to bring GSP in for support, guidance and help, they may have to ask someone higher up who deals with the finances, which sometimes means the message gets lost, or the finance team is opposed to spending money on an external advisor. This hierarchy can prove to be quite frustrating, and in many cases proves to be a hindrance for GSP, but it also represents an area where everyday democracy could be a valuable tool. Henry notes that schools are not fundamentally democratic places. However, every school is different; some have a more rigid structure to their lessons if they are part of a multi-academy trust, or have to adhere to strict internal school rules.He talks of how teachers are overstretched: the hours they work, the time they spend planning lessons and marking. Even if a teacher were interested in getting involved and chaperoning an eco committee, their timetable may not allow for it. Yet it appears some school structures could now be going in the opposite direction, with new ideas being proposed, including removing the layer of middle management, meaning the teachers can have more autonomy in their classrooms, how they teach and their marking, meaning that they only report to the head teacher or deputy head. This would also save on management costs, and could result in a rise in teachers’ pay, and the possibility of them spending more time in the classroom and on projects they feel passionately about. When asked which model within schools he believes would work best for GSP, Henry said that he could see the benefit in both. With hierarchical structures, his role as sustainability coordinator at his first school helped him stand out, and he was hired as head of department at another school. However, he says that a more flat structure and cutting out middle management could allow teachers to have more time, enabling them to do things that they genuinely want to do, such as devoting time to an eco-committee, or getting involved with sustainability around the school. When they’re being valued more as a classroom teacher, teachers can embark on their own projects. Indeed by reducing the demands placed on them, staff might take on these projects because they recognise their value, without the extra incentive of climbing up the ladder. In this scenario, teachers would be encouraged to launch an initiative because they believe in its aims, whereas hierarchical systems can give rise to other motivations. And yet, if both produce the same end result, is the motive important? The answer is that the democratic approach brings other benefits, and ensures a measure of durability and longevity to the project. When teachers have the autonomy and time to work on their own projects, without the motivation of taking on extra roles simply in order to climb the ladder, they are more likely to stick with the idea, and to impart a sense of its value to their students. For students, teachers and the GSP alike, it appears that more democracy could give rise to a culture where people are motivated to continue with projects that are in line values, whereas in more managerial cultures, incentives may be more linked to self-promotion, and interest can dwindle once the new role has been secured. To conclude the interview, Henry was asked about the most urgent environmental issue we are tackling as a society today. He said it is definitely climate change, and therefore we must focus on massively reducing our carbon emissions. This can be achieved through different means such as more renewable energy, more sustainable forms of transport, reducing carbon intensity of industry and tackling emissions from agriculture, but he is aware that there’s no easy fix solution. He touched on the recent wave of public support for our battle with plastics, and noted that it’s an easy way for everyone to play a part – reducing plastic and supermarket bans on plastic – but that this will not stop climate change. At an individual level, we can all make better choices, such as deciding to eat less meat, cycling or taking public transport instead of driving. But Henry also recognises that, whilst it is admirable that individuals take an interest and make a contribution, it is ultimately up to the government to put climate change at the forefront of their agenda. Henry believes the government is not showing enough leadership with regards to climate change, at a time when it is so desperately required. The issue is often overlooked, and sustainability barely gets a mention in most policy programmes, Education plays a crucial role in this, as the more the public is informed, the more the electorate puts pressure on the government to take action. This is why the work that Green Schools Project is doing is so crucial. They are giving schools the tools and resources they need, involving young people and helping them play an active part in driving this change. In turn, pupils take this understanding back to their families, their communities, and their own lives, and as they grow older, this could take sustainability from the bottom of governmental agenda, right to the top, to become a key priority. Henry explains that school children really understand environmental protection, that it’s not a hard thing to sell to them. If only the whole population were to get on board, the step changes that are needed to create a more sustainable society could start to become a reality. This blogpost is part of a new series on Everyday Democracy and the Environment by Avery Underwood – a new post will appear every Monday for the next 6 weeks.